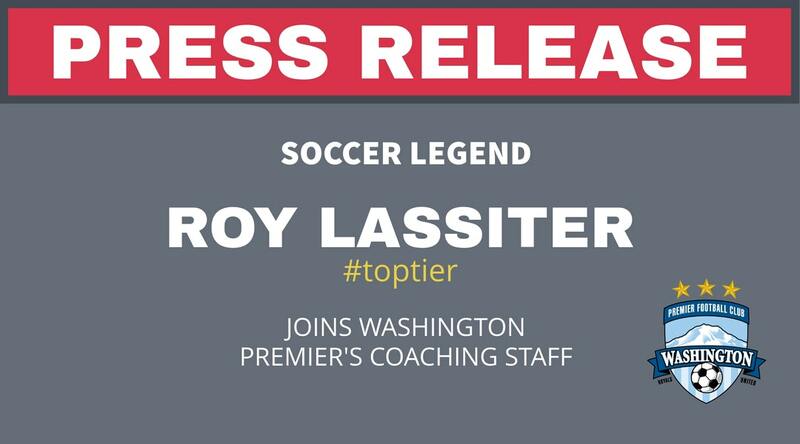 Roy Lassiter played with the US Men’s National Team for 8 years and was an alternate member on the ’98 World Cup Team in France. He also played 9 years in MLS, playing for Tampa Bay, DC United, KC Wizards (now Sporting KC) and Miami Fusion, played 3 years in Costa Rica and a year with Italian side Genoa, now in the Serie A. Roy still holds the MLS record for most goals in a season with 27 and lead the league as the all-time leading goal scorer for 8 years straight. In 1999, Roy won the MLS championship with DC United along with becoming a 3 Time MLS All-Star during his 9-year tenure. In 2011, Roy was inducted into the North Carolina Soccer Hall of Fame. Roy has been a DOC for 15 years with several top name clubs in the country with Austin United Capitals, Albion SC, Arsenal FC and United FC. HE has coached in 4 US Youth National Championship games and won 3 straight Southern California D1 State Championships and 1 Runner-up. Roy has been involved with the U20 US Men Youth National coached by Tab Ramos as an assistant coach, won 2 Red-River Men’s Conference Championships at Huston-Tillitson University in Austin Texas as assistant coach and started the women’s program there in 2005. Roy was the Region III Head Coach in Texas and ODP and EDP Head Coach for 2002 and 2003. Lassiter was the Head Coach of the Kitsap Pumas in 2017 and won the NPSL Western Conference regular season Championship with a record of 6-2-2. Recently, Roy was the Boys DOC for PacNW Soccer Club.